A jack-of-all-trades, John Lovett mastered both running and throwing in leading Princeton to a 10-0 season in 2018. 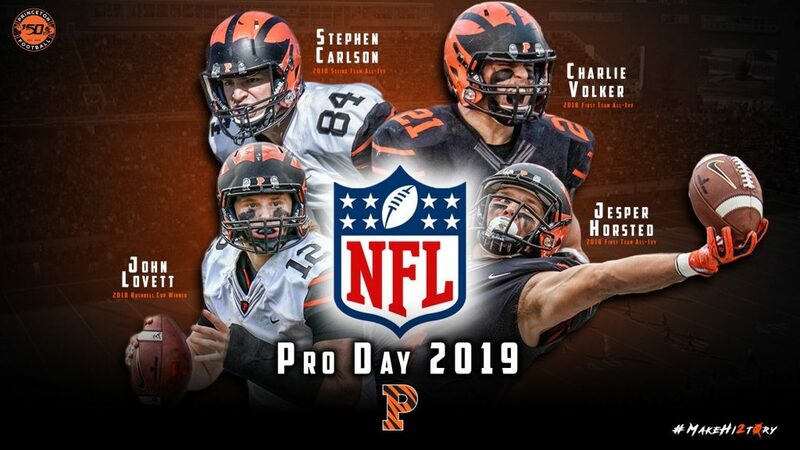 If 14 of the NFL teams increasingly looking for athletes in addition to prototypical bodies wanted a full measure of all the things Lovett might do for them, a cast on his left hand dropped another clue during Tuesday’s Princeton’s Pro Day. With a cast on his left hand – the operation that got Lovett through the season has had to be re-done – he caught all but one of the passes thrown by quarterback coach Mark Rosenbaum, that one being a bit of a reach. Running a 4.57 in the 40, doing a 10-foot broad jump and a 32-inch vertical leap, Lovett does not need the stretch of an 11-yard chain to be a viable NFL candidate. He should have the cast off by summer. Until then he might have a hard time squeezing a lemon in his left hand, but on Tuesday he made lemonade for some people it was necessary to impress. At the end, the Saints put him through some additional agility drills. Lovett’s good at agility drills, obviously. The Jaguars had him do an intelligence test, right up a Princeton man’s alley, of course. These scouts didn’t just come to see Jesper Horsted, as disappointed as they might have been when he pulled a hamstring in his first test of the 40 and became a cheerleader, like so many other Princeton teammates Tuesday, for Lovett, Stephen Carlson and Charlie Volker. Of the four, Horsted, expected to be a draft pick, probably could most afford a mishap on this showcase day, as disappointing as it was to him. “I was running a mid-to-low 4.5 for an electronic timer,” he said. “I was hoping to show that today and get an even better time and then I had to pull up. To Bob Surace’s thinking, if evaluators from almost every team who flocked to campus to watch film of Horsted during the season, didn’t see an NFL receiver, then no stopwatch is critical to his chances. 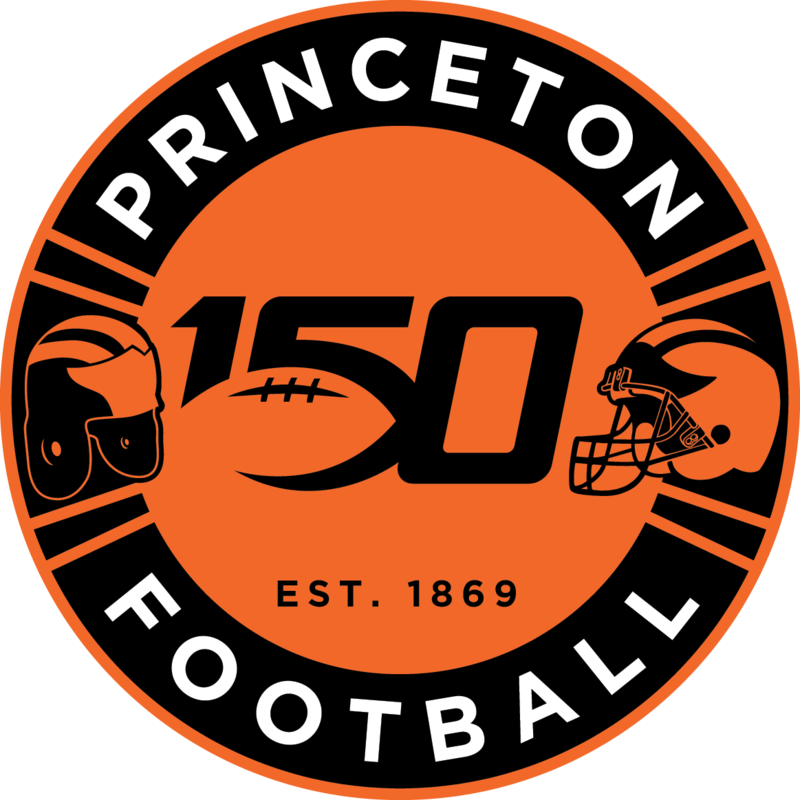 “Everybody wants to see the times of course,” said the Princeton coach. “But they did get Jesper’s in the 10 and 20 today before it happened, plus they have grades on him based on the film. As Princeton all-timers, Carlson and Volker proved pretty good on film, too, but needed to impress yesterday to get themselves training camp invitations or better. You never know. Neither player did anything to hurt their chances. “Charlie ran well, jumped well, especially caught well,” said Surace. “I told in the fall he is going to open their eyes. “Backup running backs in the NFL nowadays have to be able to affect a passing game. And he did very well with that. “Stephen helped himself by coming in today at 240, about 12 pounds more than he weighted at the end of the year. I think his running tests were good too for a team looking at him as an H Back. For that, they will want a guy weighing 245, running a 4.7, and never dropping a ball. And we know Stephen will not drop the ball. Lovett has never played defensive back or center but has the body and speed to put an NFL coordinator to work on some use for an athlete of this caliber and resourcefulness. More NFL teams are running a Wildcat and/or using an option-type of quarterback at the goalline. They may not be so quick anymore to wish Lovett good luck in Canada. “Teams are being more creative because utilize roster spots are so valuable,” said Surace. “To get a guy who can do everything John does is so huge. Today he caught 20 of 21 balls with one hand. The turnout of evaluators suggested that NFL teams have figured out there are some players here, not just a bunch of future doctors and hedge fund executives.